The food processing industry is subject to increased pricing pressure. And the segment is further complicated by the short life cycles of the products and high demands on hygiene. In addition to that, there is the need to ensure that shelves are fully stocked at all times. The production of food stuffs also results, besides this surplus, in production waste and rejected batches. WELTEC BIOPOWER develops solutions for utilising organic wastes. Food producers all over the globe trust us when it comes to using production wastes to generate energy. The advantages are obvious: The reduction of both high disposal costs and energy costs. 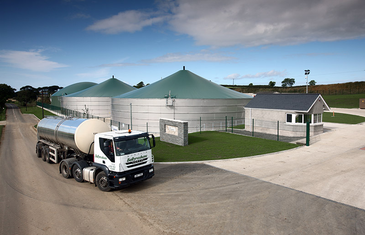 After all, energy can be produced on site by the conversion of waste products in a biogas reactor and that can satisfy a large portion of the energy demand.